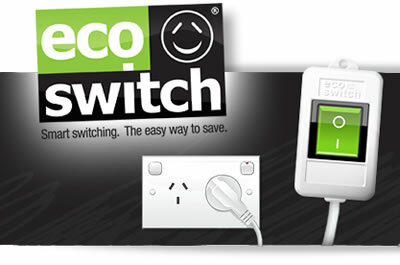 This is where the multi-award winning EcoSwitch® makes switching off your appliances easy. Turn off this standby power and pocket the savings. Using an EcoSwitch® you are effectively moving the location of your power point away from the wall to a more convenient location – without having to crawl under furniture or fumble around amongst cords alive with electricity. Think of your EcoSwitch® as being like an extension cord with a remote control, except better, because nothing will remain on standby. The EcoSwitch® is now your ‘Easy Reach Power Switch’.